This recipe is definitely one of the more kid-friendly dishes I have. Who doesn’t love hamburger meat and cheese? It’s very easy to prepare and a great recipe to double and freeze so you can pull out dinner in a pinch. This is also a great meal to take to someone with a new baby, as most guys love it and leftovers re-heat really well. In the pictures below, I did double the recipe to make one for my dad, but the recipe below is the original for just one casserole. 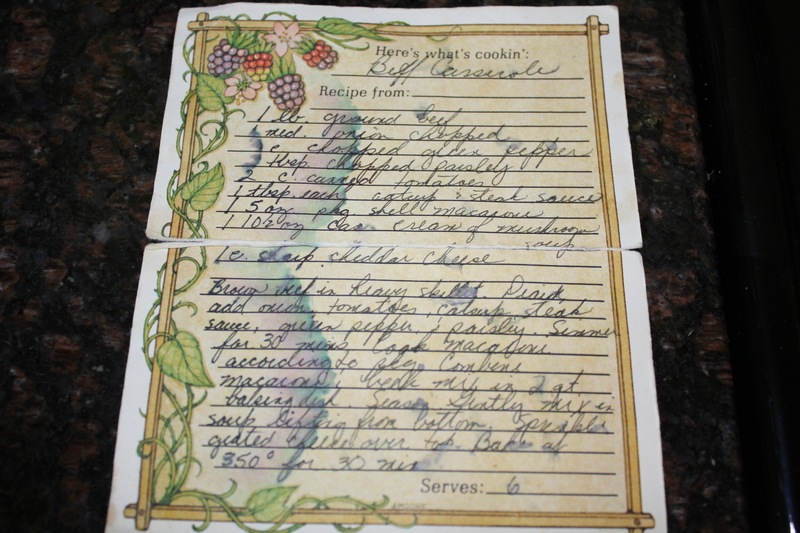 I also included a pic of the recipe in my mom’s handwriting. Makes me smile. Preheat oven to 350. 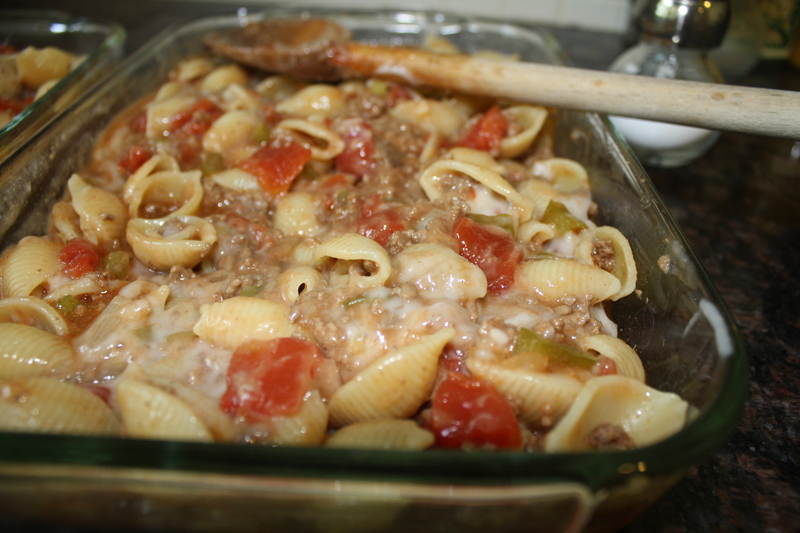 In a heavy large skillet, brown ground beef; drain meat well and add back to pan. 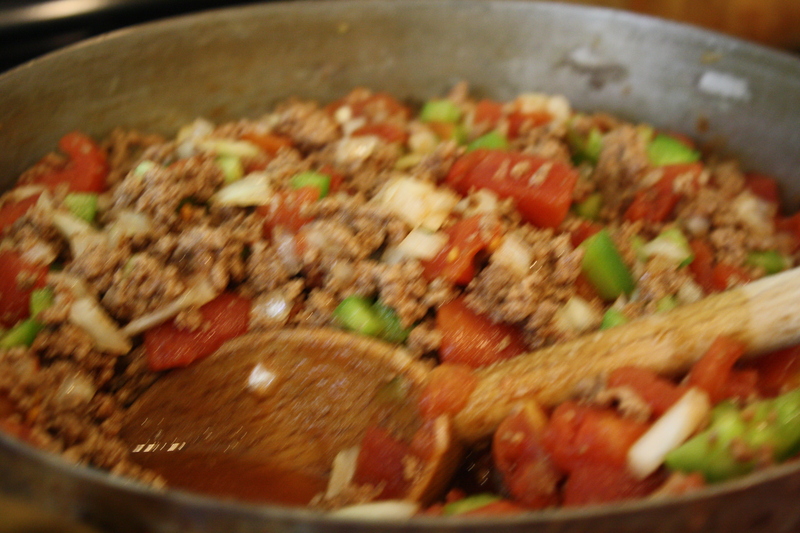 Add onion, pepper, tomatoes, ketchup and Worcestershire sauce and salt to taste and simmer for 30 minutes. While the meat simmers, cook pasta according to package directions. 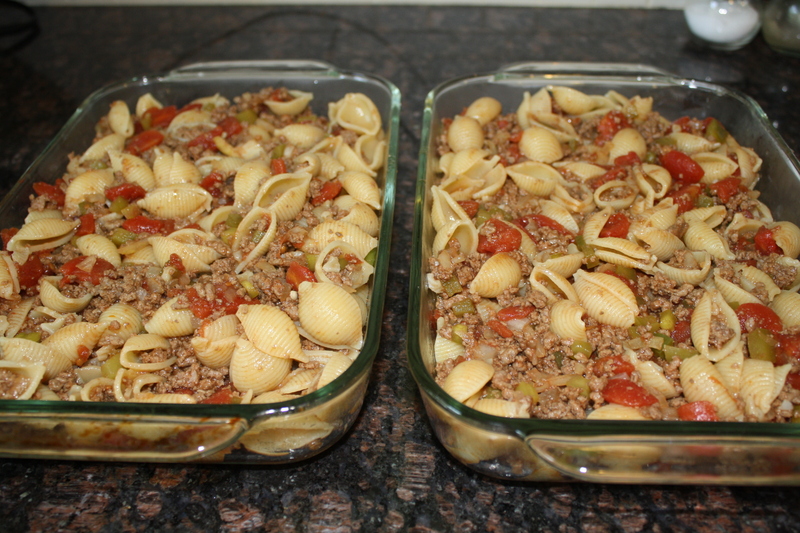 Once the pasta is well-drained, add to the meat mixture and mix well. If your skillet isn’t big enough, go ahead and move everything to a large baking dish to mix up. 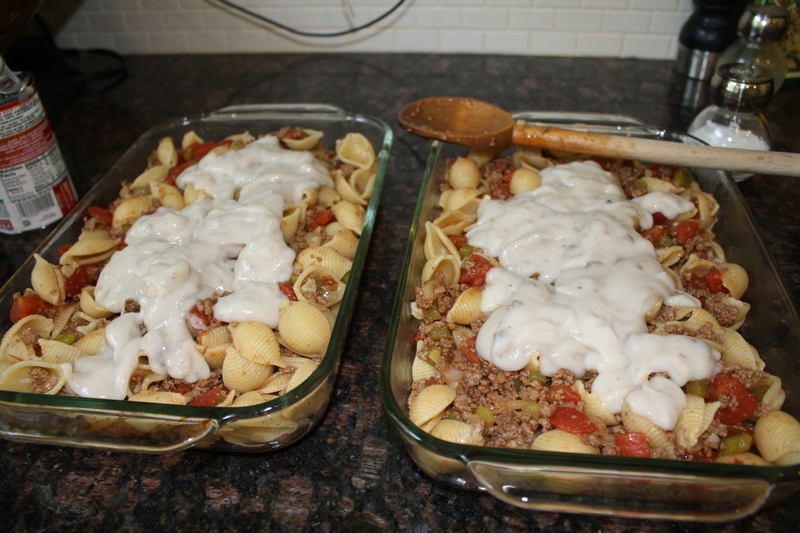 If you were able to mix the pasta in the skillet, move the entire mixture to a large baking dish now. Add the cream of mushroom soup and mix well, stirring up from the bottom. Top with cheddar cheese and bake for 30 minutes. Serve with green beans or a green salad. Enjoy! This entry was posted in Uncategorized by ohtasteandsee. Bookmark the permalink.